Ginger’s products have already helped tens of thousands of students across the world boost their scholastic achievements and improve their English skill set. Ginger offers students of all levels advanced proofreading tools, as well as rephrasing suggestions, to help convey messages with more clarity. Ginger is also in high demand as Assistive Technology for Dyslexic students. 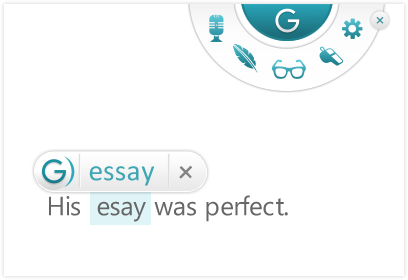 Ginger’s technology analyzes the context of an entire sentence, and its corrections conform to the writer’s intended message. This method is especially successful for dyslexic students who often confuse words which sound the same but are spelled differently.